Speakin' Geek: X-Men: Days of Future Past, Where to next? Possible sequels. X-Men: Days of Future Past, Where to next? Possible sequels. With the latest incarnation of the X-Men franchise being inspired by the famous three issue arc Days of Future Past I want to answer the inevitable question, What's next for the X-Men? It's no lie, that since X-Men: The Last Stand the franchise has not had a steady stream of successful film, Wolverine: X-Men Origins was a disaster on the exact same scale and even though both X-Men: First Class and The Wolverine were both huge commercial hits they were not perfect, January Jones anyone or a giant Silver Samurai Transformer? Since X-Men 2 have you ever experienced such visceral intensity as the White House scene with Nightcrawler? Never has there been a scene that showcased the unique visual power of a mutant since that film, in my opinion. 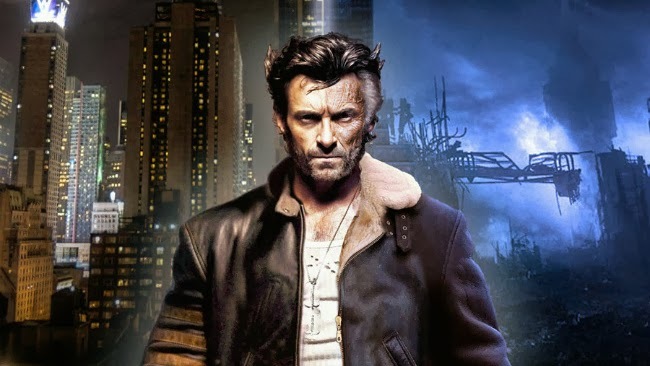 With Days Of Future Past the possible sequels are enormous, in this article I will list my two favourite and most likely sequels to follow on from X-Men: Days Of Future Past. Here are the facts you need to know about Days Of Future Past that will lead into the theories I have about the possible sequels. Fact no.1 which is known about the film is it is all about time travel, which will massively affect the universe the X-Men live in, because let's face it by the end of Days Of Future Past one of the cast (my money is on Magneto) will mess up the time-stream and there will a storm of crap coming the X-Men's way. Fact no. 2 this film is introducing a ton of new mutants, Bishop, Sunspot and Quicksilver to name some of the newcomers, with the inclusion of these characters Fox are opening up a possible shared universe of their own, which will be exclusively dominated by mutants, and the Fantastic Four, even though Fox said that is never happening. With time travel, there are so many ways for the X-Men Universe to fix a lot of the previous problems that arose from the X-Men: Last Stand film. The mutant cure could be wiped out of continuity, meaning various de-powered mutants would be back, Mystique, Rogue and Magneto, even though we know from The Wolverine ending Magneto somehow has regained his abilities and Anna Paquin is back as Rogue. New Mutants could be introduced through the new supporting cast, with Quicksilver comes Scarlet Witch but most importantly with Bishop comes Cable, the insanely layered character that formed the most interesting iteration of the X-Force ever, which Fox are developing into a film, if the rumours are to be believed. So here is my theory of what will come out of the consequences of what the X-Men do to mess with time. Since they will be changing the future any number of things could come from it, they could create a perfect Utopia where mutants and humans live together in harmony or the more likely consequence, a dystopian future where all mutants have been wiped from the Earth. Too vague? Okay this is where things get interesting. So the X-Men save the day, stop the Sentinels and Bolivar Trask and time begins to distort and for one significant scene every mutant is in one place, future and past incarnations alike. They congratulate each other and then suddenly the future incarnations are pulled back to their timeline. The next scene is Wolverine waking up dazed and confused, he doesn't know where he is, but he notice he is in a cell, then he looks down and he realize's he is missing a hand. He hears a door opening and then a familiar face throws a woman into a cell beside Wolverines cell. The familiar face is Scott Summers and he sneers at Wolverine, with his one eye and his shoulder length hair. Scott then says to Logan, Say hi to your new cellmate Logan, little miss Jean Grey. He leaves the room and Wolverine stares in disbelief as Jean Grey looks up at him clearly frightened. He then hears over a speaker system, All hail, Lord Apocalypse! Ruler of Earth! This in my eyes would be the perfect sequel to X-Men: Days of Future Past, after surviving the onslaught of the Sentinels to be thrown into an all out war with the first mutant, and this is the most interesting story-line, in my opinion, that involves Apocalypse. Also it would allow to bring back dead mutants, Cyclops would be back, Jean would be back and also this would allow the actors to give a new spin on characters some of them have been playing for almost a decade. The title would also jump off the screen, X-Men: Age of Apocalypse. Here is a link to what this story is all about and why it needs to happen and why X-Men: Days of Future Past is the perfect jump off point: Age Of Apocalypse Details. Right, so it's the same premises, X-guys save the day, have a little banter with their past selves and their future selves then boom, ripped back to the present. Again Wolverine wakes up, a bit disorientated and looks over and kisses awake Mystique. He then gets dressed and looks out from his balcony and he is on a helicarrier, you then hear over the intercom, Director Howlett, to the bridge, Director Howlett to the bridge. You see that Logan has a uniform and he is clearly in charge of S.H.I.E.L.D, he meets with a bunch of mutants who are his lieutenants and he is given a message about the massive meeting of world leaders Victor Von Doom, King Namor, and his Majesty King Lensherr. You then flip to another scene where you see a bunch of human heroes preparing to rebel and terrorize the mutant celebration, and boom, titles hit and we get X-Men: House of M.
This film would be a huge alternate dimension thriller, however it would be incredibly difficult to get this off the ground because Marvel owns every other hero in the Marvel Universe including all vehicles etc. Fox could work around it but it would be tough. Here's a link to the comic so you guys can see how it would all work out: House Of M Details. This has been a fun article for me, I hope you've enjoyed it too. Comment below, tweet and share your thoughts on my article and what do you think? What possible sequels could spring out of X-Men: Days of Future Past? Do you actually care and finally do you even want another X-Men sequel?